While a pixie cut is a HUGE risk to take, as long as you know the right style for your face shape, you're gonna be more than okay. 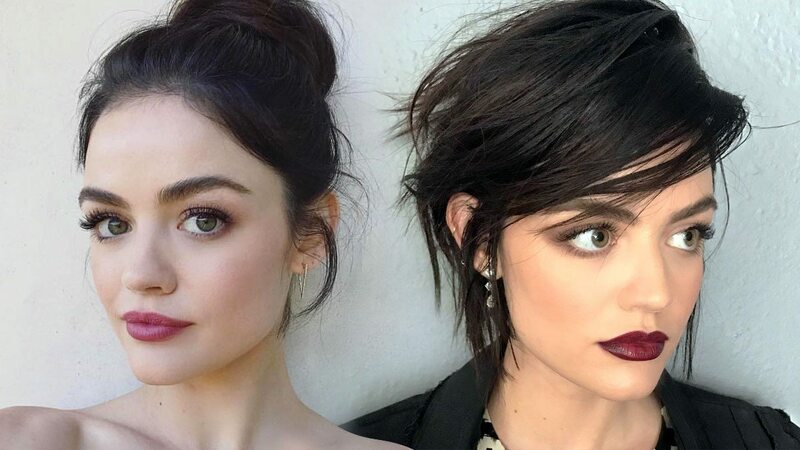 But if you're getting some pre-chop jitters, that's fine because ~*faking the cut*~, as inspired by Pretty Little Liars star Lucy Hale, is the ultimate hack to see whether or not you'd like to actually push through with your next salon visit! Lucy's longtime hairstylist, Kristin Ess, transformed the brunette's bob into a shorter hairdo through the use of optical illusion. Teen Vogue explained that Ess "made a deep side part before sweeping some of Lucy's shorter pieces to the side, and pinning the rest up so that it resembled a tousled, pretty crop." But take note: You'll need a ton of hair pins, a comb, and hairspray to recreate it! Ready to try it out, CGs?